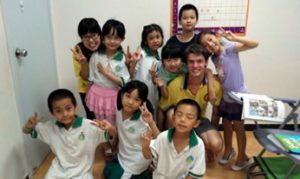 What can you expect as a TESOL teacher in China? Looking for a change of fortunes? China has a long history of fortunetelling, and its people are inclined to seek a notable sooth before any major event or endeavor. Take the Beijing Olympics for example, its no coincidence that it opened on the 8th day of the 8th month, of 2008. Not just the domain of Emperors and rulers, but anyone seeking a lucky date to wed, a child’s name, or what new direction one’s career may take, will seek a consultation. The ways and means range from putting out your palm, (with money on it of course), to shaking out a stick from a cup, to a little bird who plucks a card from a deck for the fortuneteller to read. Like most things in China, readings are cheap and accessible; and if you are lucky enough to find yourself in China these days, the news is probably very good! In the world’s most populous nation, 1.4 billion people call China home, that’s practically one in five people on the planet. China’s fortunes have drastically changed from my first visit to China in 1993. Most major highways and arterials including the highway from Tianjin port where I stepped from a slow boat was not paved, and the vehicle de jour was the two-wheeled variety, alternately one could catch a “bread loaf ” little yellow taxi van. Even then vast changes were underway, with hundreds of thousands of displaced rural Chinese looking for opportunity in the large cities. Fast forward to today, where the first thing one will notice along the modern motorway from the airport is the number of stretch limousines shuttling VIPs of industry and state into the capital city, bicycles have given way to personal cars of all makes and models, and angled glass towers loom over head. China is a symmetrical mix of fast-paced first world modernity, amidst one of the oldest and most diverse cultures in the world. For ordinary Chinese, this change of fortunes has meant a vast improvement in life-style and opportunity. A Confucius society, Chinese put a premium on education. There is an old fortune-tellers maxim, “one fate, two luck, three fengshui, four karma, five education/study…”, with education being the most prominent in changing one’s fortunes, Chinese spend more money on studying English, than any other country in the world. China has a big vision for itself as the self-titled, “Middle Country” (ZhongGuo), seated between heaven and earth. In the 21st century its fortunes are set to rise and rise, meaning good things if you’re pinning your fortune to the Middle Country. What can you expect as a TESOL teacher in China? A low cost of living and huge demand for English tuition means relatively high salaries. TESOL teachers enjoy free accommodation, insurance benefits, included meals, and often-free bicycles, Mandarin lessons, and even Kungfu! Salaries range between $1,900-$2,200 a month for 20 teaching hours a week, with contract completion bonuses offered, as well as airfare reimbursement. So how far will $2,000 a month go? Consider that your rent is paid for, and costs for food, transport, mobile phones, internet, and entertainment are a fraction of what you are used to. TESOL teachers often say they can save much of their salary to travel around China, or to visit neighbouring Japan, Korea, Hong Kong, Vietnam, even Russia, during national and school holidays. The types of TESOL jobs in China range from early-childhood centres, public and private schools, university teaching roles, and the always present private English language franchises. If working with children is your thing, there are more jobs than teachers. If you have a background in business, medicine, hospitality, even aviation, there are jobs as diverse as the country itself. It only takes a quick search to learn of the demand and diversity of roles awaiting would-be TESOL teachers feeling lucky. So why not consider your fortunes in that other Lucky country, China?